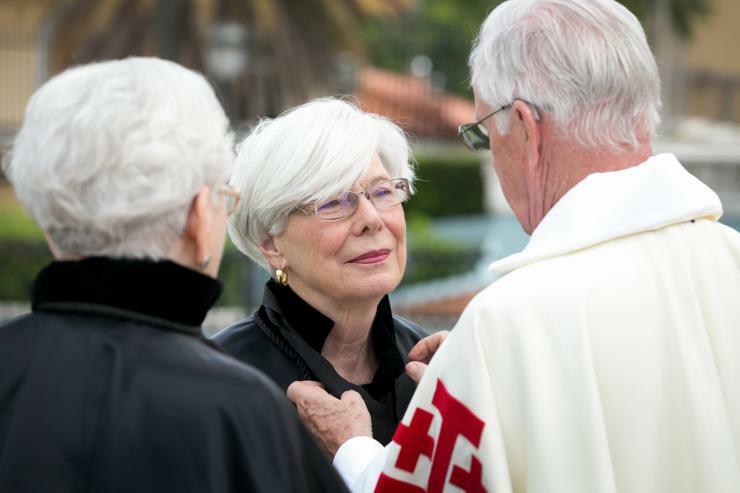 Knights and Ladies of the Equestrian Order of the Holy Sepulchre of Jerusalem, Southeastern Lieutenancy USA, held their annual Mass and Investiture Ceremony at Miami's St. Mary Cathedral Oct 7. Presiding was Archbishop Gregory M. Aymond of New Orleans, Grand Prior for the Southeast. 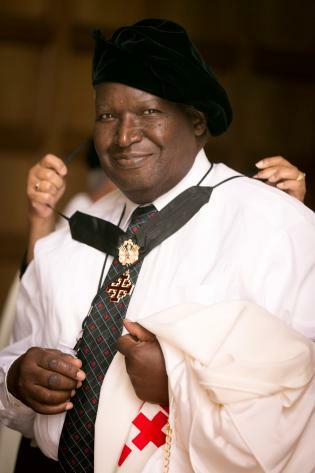 Leonard Wilson of Pineville, Lousiana, joined other Knights and Ladies of the Equestrian Order of the Holy Sepulchre of Jerusalem, Southeastern Lieutenancy USA, for their annual Mass and Investiture Ceremony at Miami's St. Mary Cathedral Oct 7. Presiding was Archbishop Gregory M. Aymond of New Orleans, Grand Prior for the Southeast. 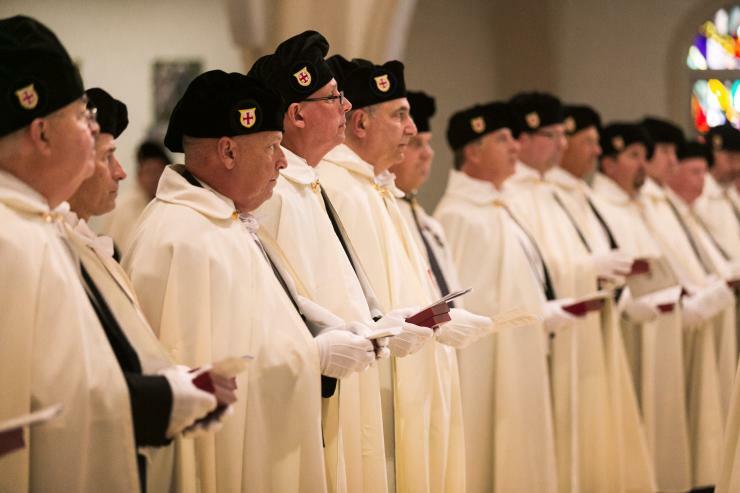 Knights and Ladies of the Equestrian Order of the Holy Sepulchre of Jerusalem, Southeastern Lieutenancy USA, held their annual Mass and Investiture Ceremony at Miami's St. Mary Cathedral Oct 7. Presiding was Archbishop Gregory M. Aymond of New Orleans, Grand Prior for the Southeast. 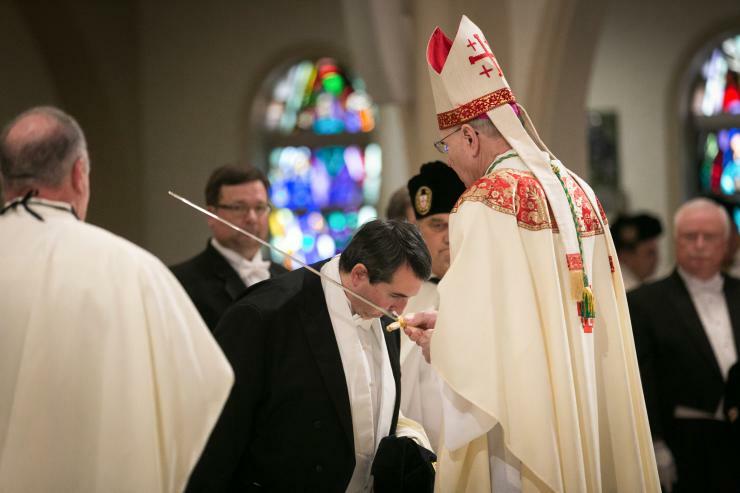 Knights and Ladies of the Equestrian Order of the Holy Sepulchre of Jerusalem, Southeastern Lieutenancy USA, held their annual Mass and Investiture Ceremony at Miami's St. Mary Cathedral Oct 7. Presiding was Archbishop Gregory M. Aymond of New Orleans, Grand Prior for the Southeast. 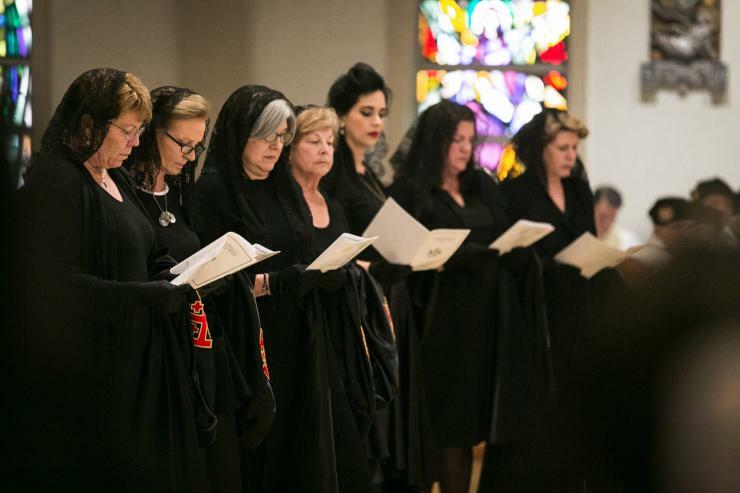 Knights and Ladies of the Equestrian Order of the Holy Sepulchre of Jerusalem, Southeastern Lieutenancy USA, held their annual Mass and Investiture Ceremony at Miami's St. Mary Cathedral Oct 7. Presiding was Archbishop Gregory M. Aymond of New Orleans, Grand Prior for the Southeast. Archbishop Thomas Wenski preached this homily during Mass with the Knights and Dames of the Holy Sepulchre. The Mass was celebrated Oct. 6, 2018, at St. Mary Cathedral, Miami. The next day, Oct. 7, 2018, the Knights and Dames held their annual Mass and Investiture Ceremony with Archbishop Gregory Aymond of New Orleans presiding. This Mass is offered for the repose of the souls of all Knights and Dames of the Holy Sepulcher as well for those of your families who have gone home to the Lord marked with the sign of faith. We pray for them, asking the Lord to bring them to the fullness of Eternal Life and we pray that the Lord will comfort us in our grief. The Church, as the Second Vatican Council reminded us, is essentially a communion: through Baptism we enter the very life of God – the Father, Son and Holy Spirit. We become members of one body, the Body of Christ. That communion which is ours in Christ is called in the Apostles’ Creed: “the communion of saints.” And that expression is a wonderful way of answering the question, what is the Church? For what is the Church, but the assembly of all the saints, living and dead? And that communion is only severed by serious sin. Death does not sever our communion with the saints – therefore, tradition has spoken of three states of the Church: the Church triumphant – those of our numbers who have already entered into the glory of everlasting life; the Church suffering – those of the faithful departed who will soon enter heaven but are now experiencing the final purgation or purification that we Catholics call purgatory; and the Church militant, that is those of us who, while citizens of heaven through our baptism, are still on our pilgrimage on earth, traversing, as it were, alien land until we reach our true fatherland, the Kingdom of heaven. We do well to pray that death may not find us unprepared to face God. Traditional piety has taught us to invoke St. Joseph, foster father of Jesus and husband of Mary, as the patron saint of a “happy death.” For years, many ended their day by praying: “From a sudden and improvident death, deliver us, O Lord.” However, today, more than a sudden death, many people fear the prospects of a prolonged and debilitating illness that may bring much pain and suffering and at the same time possibly burden their loved ones. The Church understands such fears and therefore does not abandon them but affirming their dignity cares for them and seeks to accompany all those burdened by old age or illness as they prepare to cross the threshold of time to enter eternity. We believe in God — and we believe that God made us not just to die one day. Our faith in Jesus Christ crucified yet risen from the dead gives us light and our hope in him who conquered death consoles us and strengthens us in our grief. But when a loved one leaves us, like Jesus wept at the death of his friend, Lazarus, we too weep. We grieve, and we must do so — for grieving is the pain of letting go. On an old Irish headstone were written these words: Death leaves a heartache that no one can heal but love leaves a memory no one can steal. Eternal rest grant unto them, O Lord; may their souls and the souls of the faithful departed rest in peace. Amen.